EAST GREENBUSH, N.Y -- Bitcoins can buy you a TAG Heuer watch, a cross-country flight or a meatball marinara sub. But really, how does it work? Eugene Rubinchuk didn't get into digital currency for the anonymity or to strike a blow against centralized banking. He was just looking for more business. Rubinchuk and his father, who goes by "Mike the Russian," already ham it up in local TV commercials for Michael's Auto Plaza wearing furry hats. Digital currency is just another potential edge. "It's just a way to reach customers we normally couldn't reach, that normally wouldn't think of us," he said. In 2011, he read about a 2-year-old currency skyrocketing in value and soon invested $2,000 in computers to "mine" bitcoins for about a year and a half. That's the complicated process that rewards tech-savvy participants for verifying bitcoin transactions in its public ledger, called the blockchain. When he started, a single bitcoin was worth around $2.50. By the time he was ready to buy a used, low-mileage Subaru for his wife, a bitcoin was worth over $14,000. "At this point it's like, why not?" Cypert said. "I might as well realize some of that gain." Rubinchuk and Cypert talked on the phone the evening of Jan. 2 and settled on a sale price on the Subaru WRX STI of $34,640. Then they had to agree on what that equaled in bitcoins judging by the exchange rates that moment. Tracking bitcoin prices on their screens, the pair agreed to proceed with one bitcoin equaling about $14,755. Cypert sent 2.34790481 bitcoins from his personal electronic wallet to the public address of Rubinchuk's wallet. Then Rubinchuk watched bitcoin's value go up and down as he waited to convert his digital money into dollars. Rubinchuk wanted to convert quickly in case bitcoin's value suddenly dropped against the dollar, costing him money. The fear is well-founded, since bitcoin's value can gain or lose more than $400 in a half-hour. "I'm sitting there on pins and needles checking every five minutes if it's available," he said. The money was in his business's bank account within 48 hours. Rubinchuk soon after signed up for a separate merchant account through another provider that assesses him a 1 percent fee on all transactions, insulating him from short-term volatility. He compares it favorably to credit card fees that run 2 to 3 percent for merchants. In a standard IRS form for cash payments over $10,000, he reported the money he received, from whom it came and the fact that it originated "via bitcoin." And recently in Hillsboro, Oregon, Jeff Hanzlik bought $288 worth of marijuana-growing supplies from a store in a transaction that took a few minutes to finalize. He transmitted 0.03305451 in bitcoins from his phone, which read a code on the merchant's tablet. The same phone app allowed Hanzlik to choose to pay about a quarter in fees. "Once you understand what this technology is and this genie's out of the bottle, you're not going to have any choice but to be using it in the future," Hanzlik said. 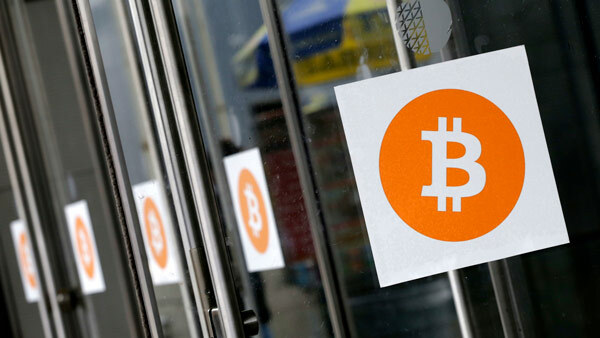 But the bitcoin network at this stage is still not well suited for smaller, everyday transactions, said Christian Catalini, founder of the Massachusetts Institute of Technology's Cryptoeconomics Lab. "If you're thinking about paying for coffee in bitcoin, that's not what it's good at right now," he said. "Things can change." Associated Press writer Gillian Flaccus in Hillsboro, Oregon, contributed to this report.